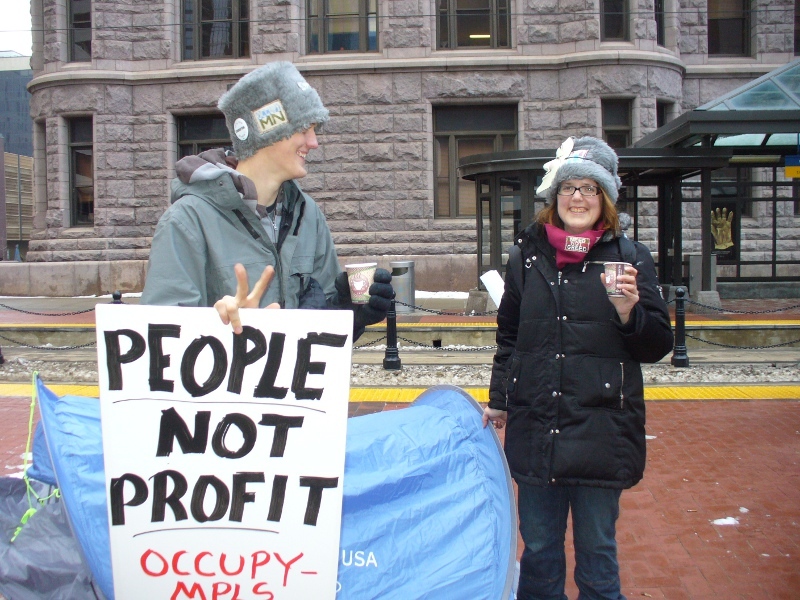 Occupy Minneapolis re-claims People’s Plaza, celebrates 2-month occupation | Fight Back! 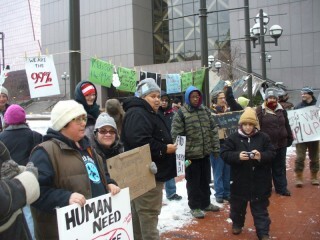 Minneapolis, MN – About 100 supporters and participants of Occupy Minneapolis gathered at People’s Plaza here, Dec. 11. They hung signs advancing the demands of the 99%, using clothespins on ropes tied to plaza light poles, pounding staked signs into frozen planters and taping their messages onto poles and benches. 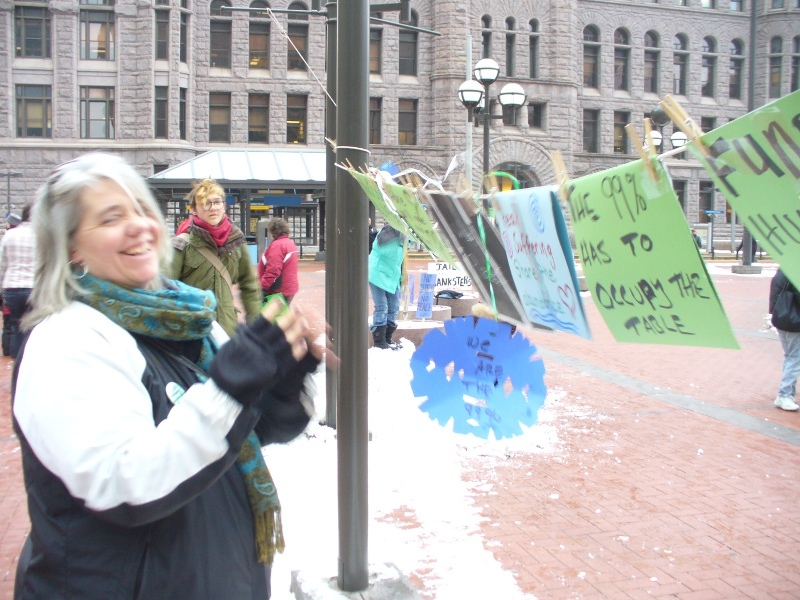 “On the 2 month anniversary of OccupyMN, we gather at the People's Plaza again, to reclaim our space and continue our fight for equality and justice,” said a statement from organizers of the action. 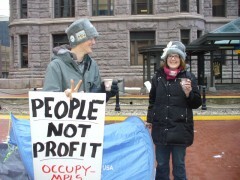 Participants in Occupy Minneapolis are still maintaining a 24/7 presence on the plaza.